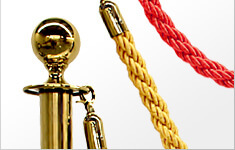 Choose from our wide selection of product finishes and rainbow of belt colors, all stanchions are pre-built in large quantities to save you time and money. 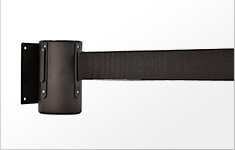 VIP's proven high quality retractable belt barrier system that mounts just about anywhere. Perfect for aisle ways, warehouse racking, checkout stands, roll-up doorways, garage door entrances and the list is endless. Whether you need to give directions within your store or place of business or use the sign frame to feature a sales offering or special promotion, the VIP sign choices are ideal for customer communication. Combining both innovation and crowd control, VIP is now offering a stylish lighted stanchion which features the latest LED technology. This advanced LED stanchion will now redefine the way business owners directing crowd into their venues. VIP Crowd Control offers affordable red carpet to add value to your event appearance and interest of hospitality. While entertaining any events, presentation means a lot to both your prestigious guests and yourselves. Custom design benefits brands to differentiate from competitions and also builds company visibility. VIP is here ready to work with any custom project you may have in mind with our crowd control products to promote your business and market your company. Looking for time and money saver on DIY stanchion repair? Never have to worry about broken belt, missing parts or running out of warranty again. 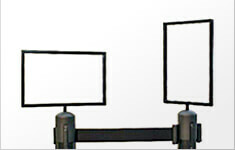 VIP Crowd Control has all the accessories and replacement parts you need to restore your VIP Crowd Control Equipment. As the renowned global leader of crowd management, VIP Crowd Control provides an inclusive line of crowd control products and crowd control equipments to fit all your crowd control needs. 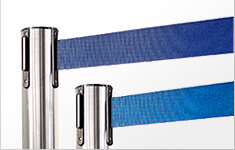 We invite you to choose from our versatile lines of Crowd Control products such as retractable belt stanchions, decorative posts and ropes stanchions, wall mounted belt barriers, sign frames and holders and specialty products. Our range of product selections is designed to fit your special crowd control needs. We believe in the concept of "Time is Money", and that is the reason why VIP Crowd Control offers same day shipping to save you time and money. Our West Coast warehouse is conveniently located just outside of Los Angeles, California and major freeways. Our crowd control experts are on hand to provide you with the most excellent customer service and are able to customize your order to fit your unique crowd control needs. Crowd control is an indispensable part of modern-day life for venue in any capacity. Our varied customer base includes: food and dining, music venues, educational facilities, theater, entertainment or any environment where you would like to create efficiency and effectiveness while maintaining a sense of peace, order and harmony. VIP Crowd Control offers one-stop shopping with the finest materials used to develop quality crowd control products at the most competitive prices. Our retractable belt stanchions, decorative posts and rope stanchions, wall-mounted belt barriers, sign frames and holders, plastic stanchions, LED stanchions, red carpet and specialty products will take any stress or extra staffing involved in crowd controlling your event. In order to be versatile on the product choices, VIP is now incorporating traffic control products into our lines. By carrying the same principle - best quality and finest material, JCB traffic cones and delineators are VIP's latest addition. Unlike all the other orange cones on the market, JBC traffic safety products have met all MUTCD standard and NCHRP-350 as well as approved for most of states requirement for the highway use. As one of the leading company, JBC's safety cones will be able stand up to abuse and challenge of adverse road condition with minimal damage. With VIP versatile lines of products, VIP Crowd Control is ready to work with your business to develop a customized crowd control and traffic control plan. Contact us by either email us at sales@vipcrowdcontrol.com or call us at 888-521-0328 to make your inquiry.